Requests from YOU Lead to New Sets and a New Flower Essence Combo! So many of the combination Flower Essences and sets of Flower Essences we have made over the years have come because you requested them. For example, the Centered Birth Flower Essence combination mix was created at the request of a midwifery practice in Manhattan. This much loved mix has gone on to support births all over creation. The Beautiful Skin combination remedy was created for a practitioner working with many a Hollywood face to help each of these faces look their best. What we call the Family River Trio was created for a healer working to help people sort out their tribe of origin issues. This trio of Bloodroot, Black Currant and Borage remains one of our most beloved trios. Recently, I had two requests that resulted in some new creations. The first came from a Green Hope Farm friend named Taryn Crimi. Her life work is with Angels. You can read about her on her site, Angelic Guides. 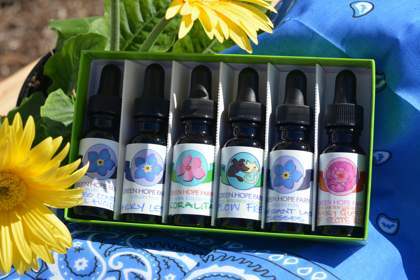 She asked the Angels of Green Hope Farm to create Flower Essence sets for specific topics that she felt those working with her at Angelic Guides were looking for: Abundance, Health & Wellness, Releasing Blocks & Limits, Inner Peace, a set for the Children and a set for the animals. 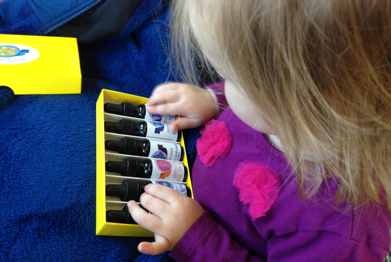 Taryn’s intention was to make it easier for people coming to her for Angelic readings to try Flower Essences. This felt like a wonderful thing to encourage. It’s always been my experience that taking Flower Essences in combination with any healing work improves the efficacy of the healing work. For example, when I first made Flower Essences in the 1980’s I was also doing past life readings. I found that if I gave people a tall glass of water with Flower Essences to sip during the reading and then a mix of Flower Essences to take away with them after the reading, they got a lot more from the sessions. 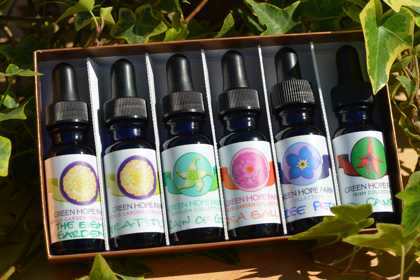 It wasn’t long before people who had gotten Essences at their readings were calling to re-order their Flower Essence mixes. This was really the beginning of our mail order business! In any case, it was fun to see what the Angels chose for each of Taryn and Angelic sets. One thing I noticed in particular was that the Angels included a Rose Flower Essence in each set. I also was interested in how the Angels described the Flower Essences in each set as they related to the topic of the set. The photo of Grace below is from the photo shoot we did for these sets. She couldn’t keep her hands off the set for children. Interestingly enough, adults immediately gravitated to this set for their Inner Children as well! So here are the description of the sets the Angels of Green Hope Farm created for Taryn’s work at Angelic Guides. Each set is $47.50 and they are available to everyone! In that way of the Angels, many of you have already begun to request these sets even before we had posted anything about them! Love that! This set of Flower Essences welcomes in the support of the Angels to transform our lives and helps us align more deeply with our purpose, find balance amidst the dissonance of the modern world, course correct when necessary and feel our very best. Alchymist Rose– This Rose Essence brings us the magic alchemy of the Angels to transform our life situation towards greater health and wellbeing. The Alignment Garden– This is one of our most beloved Flower Essences, supporting us to get our house in order in a profound way. Created from a garden the Angels designed specifically to support alignment, it helps us align with our divine purpose as well as physically, emotionally and spiritually align with our most healed self. Golden Armor– This combination mix was created at the behest of Archangel Michael to help us protect ourselves from the discordant sound vibrations and electro magnetic dissonance of the modern world. The Angels encourage us to use this every day. It is excellent for other sorts of protection including resistance to viruses and bacteria or rebuffing negativity of any sort. Honeybees in the White Hawthorn– Honeybees know how to balance and harmonize the land where they live. In this Flower Essence they offer guidance about how to smooth out emotional and physical energy imbalances in our own energetic system. Larkspur– Larkspur helps us turn the situation around when we are ill or need a dramatic and bold course correction to return to better health and wellbeing. Vitality– The Angels suggest this combination Flower Essence when we feel out of gas or generally low in life force energy. It helps us feel our best, rest well, have a good appetite, feel a spring in our step and be glad we are alive. Unburdening and releasing our electrical systems of all tangled electrical circuits and mental, emotional, physical and spiritual confusions is the profound concern of this set of Flower Essences. All Ego Contracts Null and Void– This combination Flower Essence helps us release habits, patterns of behavior, personality choices or relationships that inhibit our freedom to be our best and healthiest self. Carry Less– We often see our lives through the filters of what has previously happened to us. These filters limit the way we experience our lives. Carry Less helps us release these filters so we experience the world more expansively and clearly. Coralita– This Essence helps us untangle any blockages in our electrical system especially in the main trunk of our nervous system so that healing light and information can move freely and efficiently through our whole electrical system. Flow Free– This combination Flower Essence helps with any issue of flow in the nervous system, urinary tract, digestive tract, lymphatic system or circulatory system or any situation of blockage, be it emotional, mental or physical. The Angels suggest this one for keeping things flowing when overcome with emotions and thoughts or dealing with any sort of energy blockages. Fragrant Ladies Tresses– This orchid Flower Essence helps us to surrender everything into Divinity’s hands thus allowing the grace of Divinity to arise and bring resolution and greater wellbeing. 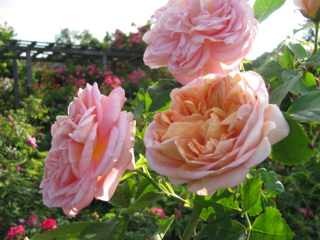 Mary Queen of Scots Rose– This Rose Essence helps us dissolve the inner conflicts that inhibit us getting well. This set of Flower Essences helps us experience the abiding reality of peace, joy and our oneness with Divinity even amidst challenging circumstances of loss and suffering. The Arbor Garden– This remedy is from a garden designed by the Angels to remind us we are safe and one with Divinity. Arbor Garden helps us feel consoled, in sanctuary, soothed and safe no matter the circumstances. It is particularly helpful in situations of loss. Indian Pipe– This Flower Essence helps us feel grounded and peaceful even amidst chaotic circumstances. It helps us know that peace is the abiding reality beneath all surface events and helps us experience this elemental peace no matter what is going on in our lives. Loving What Is– This combination was made from all the Flowers in a garden designed by the Angels. It helps us to accept the circumstances of our life situation with zest, joy and love even when the circumstances are challenging, painful or not what we would have chosen for ourselves. 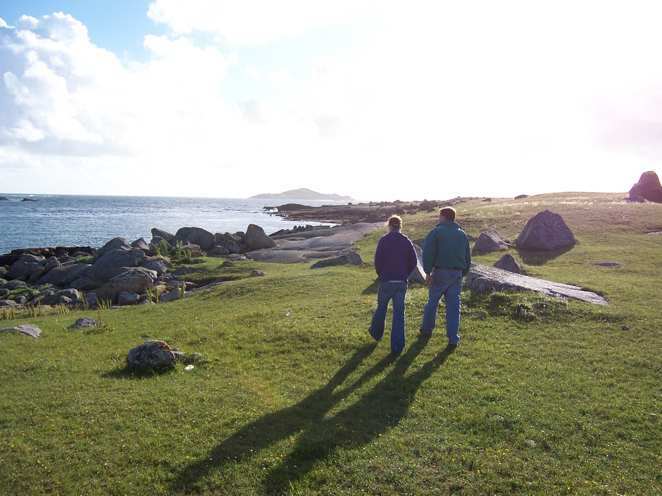 Omey Island– Made on a tidal island on the west coast of Ireland, this Essence brings solace when our lives have been pared down through illness, losses or changes in circumstance beyond our control. It supports us to find the grace of a simpler life and to find a natural rhythm of giving and receiving that does not deplete us. Grief & Loss– Life presents all of us with experiences of loss. This mix brings together a bouquet of beloved Flower Essence friends to console, comfort and help us through the passage of mourning our losses. 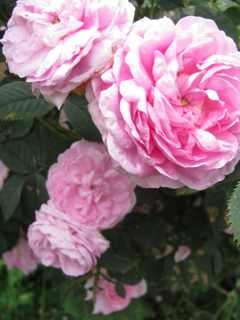 Sarah Van Fleet Rose -An incredibly soothing Rose friend for overwrought nerves. The Angels describe this as the balm of Gilead. The beloved children instinctively know so much about Flower Essences and take to them like ducks to water. Give a child you love this set and he or she will know exactly what to do with them. In fact, your inner child may want this set as well! Babies of Light– The Angels’ Flower Essence combination mix to calm, protect and balance the very sensitive electrical systems of the children being born to us. Baby Blue Eyes– Children and their wisdom are often overlooked. This remedy helps children know they matter regardless of the feedback the world is giving them. It helps children find inner strength, resilience, flexibility and spiritual self-identity. It helps children so they do not feel like they need to resort to belligerence or false bravado to get attention because they know from within that they are infinitely valuable. The Fairy Rose– Full of fairy joy this Rose Essence reminds a child that being in a physical body can be joyful and fun. It encourages playfulness, laughter and delight in the daily experience of life in a body. The Hummingbird Garden– This radiant mix is for the young people of this time to support them to follow their dreams with passion and confidence. The garden from which this Flower Essence was made was a joint project of the Angels and young people at the farm. Dozens of hummingbirds zoomed through this garden all summer not only giving the garden its name but adding their own exuberant wisdom to the Flower Essence created. Maple– Maple helps children experience the sweetness of life. It helps them fully inhabit their physical bodies in a balanced and happy way. It helps them feel confident, beloved, strong and sure-footed. Sweet Pea– This much loved Flower Essence supports restful sleep and sweet dreams. From our beginnings in the 1980’s, the Angels made it abundantly clear to us that animals were to be a significant focus of our work at Green Hope Farm. Early on they created a collection of Flower Essence combinations to support the animals. Here are six of the most beloved of these remedies. Please check out the rest of our Animal Wellness collection for remedies addressing other issues. Animal Emergency Care– This combination Flower Essence was especially formulated to calm and support the electrical systems of animals during acute healing crises, emergencies, stressful situations as well as long-term illnesses. 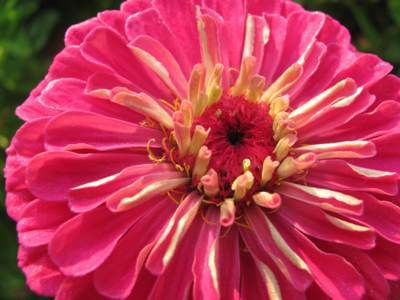 Anxiety– This combination Flower Essence helps ease and release anxiety and anxiety based behaviors. It is our most popular remedy for animals and people! Digestive Woes – This combination remedy is for all issues of gastrointestinal health. Flow Free– For any issue of flow in the nervous system, urinary tract, digestive tract, lymphatic system or circulatory system or any situation of blockage be it emotional, mental or physical. This is one we hear miraculous stories about on a near daily basis! Golden Armor– Protection from the discordant sound vibrations and electro magnetic dissonance of the modern world, noises that greatly bother the animals. The Angels ask us to give this remedy to the animals in our lives every day. 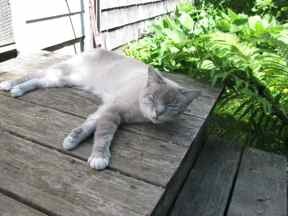 It also helps animals rebuff pests, viruses, bacterial infections or anything or anyone that seeks to disturb. Healthy Coat– This combination Flower Essence addresses all issues of the fur or skin including hot spots, rashes, skin sensitivities, allergic reactions, wound healing or coat issues. It also supports the healing process for all raw, inflamed or reactive tissue internally as well as externally. The Eight Garden– The Angels created this garden and its corresponding combination Flower Essence to help us let go of what we no longer need and manifest what is needed. This enormously transformative Flower Essence mix helps us bring in the spiritual gifts that will help us most on our journey to remember our oneness with God. Gratitude– Another combination remedy from a garden designed by the Angels, this one offers the alchemy of gratitude, an emotion that lifts us out of any mind ideas of “less than” into an experience of life as an immeasurable blessing. Rain of Gold– Our most beloved Flower Essence for abundance work. Rosa Gallica– An ancient Rose whose time has come to help us click into the current electrical grid of the planet which in turn opens us to the immeasurable treasure of being here now. Tree Peony– This Flower Essence helps us to feel in the swim of a generous universe. It is a Flower Essence that brings wonder, enjoyment and revelry. Sea Campion – Made on the west coast of Ireland, this Flower Essence helps us to receive and accept bounty even in unlikely circumstances. The other request from a Green Hope Farm friend named Sherry Noah was for a combination remedy for folks working with the Akashic Records. I was a bit foggy about what this was. I knew that I accessed it when doing past life readings, but I was not exactly sure where it was or how to describe it. I suspected my own mental image of a library filled with Angels leafing through dusty tomes was not really accurate! The Angels jumped right in to create this mix. They were clear what Flower Essences were to be included in the mix and had a name all picked out for it- The Book of Life. They also had me share the creation of this mix with Taryn Crimi at Angelic Guides, and she shared both a helpful blog she had done on the Akashic Records (http://www.angelic-guides.com/2013/08/31/the-akashic-records/ ) AND helped with the definition. Things really are a lot easier when I leave everything to the Angels! They definitely know helpful people! Within each of us exists a record of the history of our soul, the experiences we have had and the lessons we have learned along the way. When we are able to remember a past life, we are actually accessing this information from the Akashic Records. The Akashic Records is essentially a record of all that ever was, all that ever is, and all that will ever be. It contains information about every being within existence. In order to serve our spiritual growth, the Essence which we have affectionately named “The book of life” helps us to better access this information from the Akashic Records on a conscious level. In a sense this Essence helps us to swing open the gate of remembrance so that we may receive the most useful information available to us. With the help of this Essence we are able to consciously integrate this information into our being so that we may benefit from the information accessed in the present moment and resolve painful, knotted and complex soul dilemmas by seeing how these same challenges have played out in different situations for us in other life times. It is important to note that only the most useful information which we have the ability to successfully use and integrate will be accessed at this time. The emphasis of the mix is on supporting us to resolve current challenges by shedding light on our patterns of learning as revealed through the Akashic Records. The combination Flower Essence helps us to ground ourselves firmly in the now moment as well as help us to filter in information from both our past and our future. The release of the most useful information from the Akashic Records is done in alignment with our own divinity. This Flower Essence mix works with our Divinity to clarify received information, help us to better understand the significance of the information received and make the most of it in our thoughts, words and deeds here and now. This mix also is now available- and flying out the door! As so many of you know, the Angelic realm is responsible for planning and designing manifest reality in alignment with divine will. The Nature Spirits do the work of translating theses plans into actual form. Nature Spirits or the beings I call Elementals are necessary for the manifestation of all things. In most minds and most places what I just wrote is thought to be crazy talk. This leaves Nature Spirits pushed outside humanity’s mindset about what constitutes “reality”. This attitude doesn’t stop Nature Spirits from doing their work. They just do it with no sense of inclusion in humanity’s conception of life. I am always awed by the Nature Spirit’s reserve when it comes to us humans. In humanity’s general unconsciousness of the sentience in all life, so many humans disregard Nature Spirits completely and trash the beautiful world they have created for us. I stand in deep gratitude that Nature Spirits stick with the divine plan and keep manifesting Earth for us. If I was in their shoes, I expect I might have a hissy fit! One of the things I love about Ireland is that the Nature Spirits feel more tangible there. There are lots of reasons for this, but I am certain one of them is because more Irish accept the reality of Nature Spirits. In Ireland there is a general acknowledgement of a world shared by other beings. No one looks askance at you when you mention a love of fairies. In Ireland, gnomes and elves are more than just fodder for fairy tales but beings included in daily life. As a consequence, it must be easier to be a Nature Spirit in Ireland than in a lot of other places. 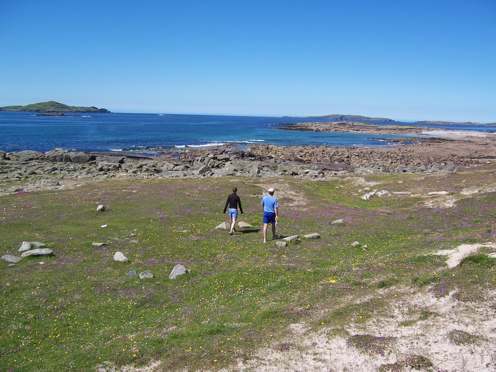 One particularly blessed group of Nature Spirits works Omey Island off the west coast of Connemara. This tidal island is unlike any other place I have been, and I treasure the Flower Essences we have made on this island. Of late we have noticed a specific Flower Essence from Omey Island calling out to a flood of you. How heartening it is when so many of you hear the call of a Flower! It reminds me that those of us listening and hearing our co-creators in Nature will by our listening and by our actions AWAKE our sleeping fellow humans who continue to trash our planet in their state of unconsciousness. The Flower Essence that has been calling to so many of you is Thyme from Omey Island. Here is this beloved Flower powerhouse covering the slopes of Omey. The Thyme is the pinky purple Flower everywhere. Here is what Thyme from Omey Island had to say in the last Guidebook. I AM the ancient one that lives in the eternal now. The accounting this Essence gives of itself is circumspect and casual, oblique and mysterious. Thyme tells the truth but tells it slant as if the full truth would dazzle us too much. Just this week Emily returned to this topic when she told me about a TED talk she heard in which the person speaking about happiness said that the two key factors in happiness were being absorbed in the present and living more slowly. This summer Green Hope Farm returns to its roots with the young people here expanding the gardens and generally digging in to many of the kind of projects that were central to our very first years. In the preparations to grow more food as well as Flowers, there are seed flats are everywhere. And stories too as I try and share what happened once upon a time to help encourage each of these young people as they embrace their own relationships with the Angels and Elementals of Nature. In the first summers of the farm, I dove head first into creating gardens with the Angels and Elementals. I was fearless and confident all our needs would be met. If I required a piece of equipment I did not have or a job done I could not do, I had faith that in the eternal now, the problems would be solved. And they were. I trusted in designs and directions from my Angelic and Elemental partners even when these designs were nothing like my ideas of gardening. As I let go of my ideas and embraced those of my partners, I opened the doors to gardens glorious beyond my imagining. What a time it was! And it is so fun to tell this new generation of the adventures and joys of this beginning, knowing the same bold adventure is there for them to carry forward just as it is there for ALL OF US to carry forward. As the farm continued after the first few years, my personal lessons went in other directions into the drama of my family of origin splintering in the face of my younger brother’s death threats against our children. I sought Divinity out more and more and more in this time but the eternal now was a different kind of place. I sought safety not a kubota tractor. Through the gardens the Angels and Elementals addressed the issues I was dealing with and brought many deeply helpful Flower Essences. The gardens were radiant and deeply healing and the work continued on but there wasn’t quite the unburdened joy of our beginnings. So this time of new beginnings with the young people here feels very precious to me. I am so grateful that our attention can be on tractors and mulch not on issues of safety. To be digging more gardens, filling every cranny of the farm with seed flats and sinking into the eternal now of gardens created in partnership with our dear friends the Angels and Elementals feels like a great blessing. I am looking forward to sharing these new beginnings with you all!